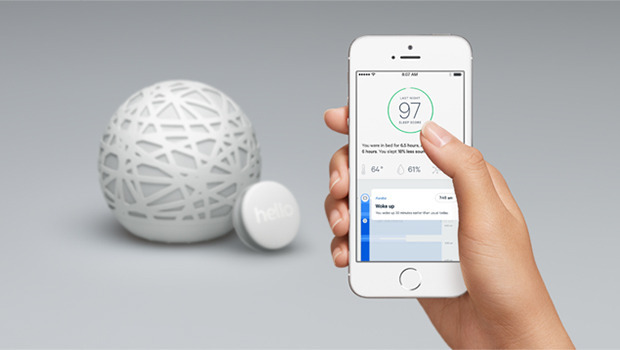 Last month tech startup Hello launched a Kickstarter campaign for their Sense sleep aid system looking to raise $100,000 but found themselves with almost $2.5 million dollars and close to 20,000 backers. 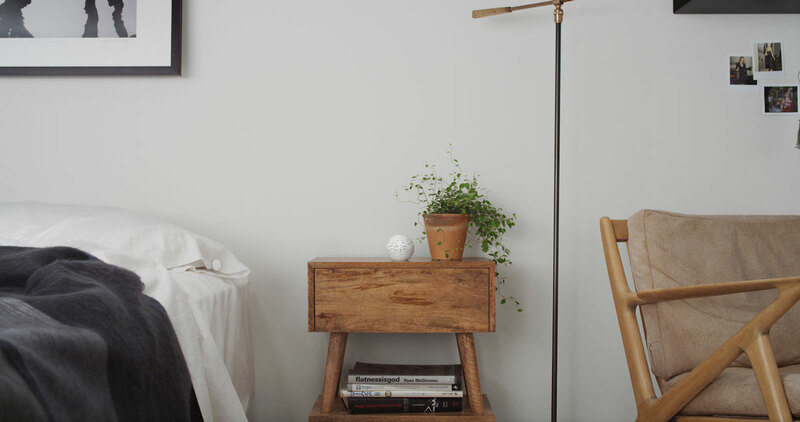 The Sense itself is a sleep aid system that monitors you while you sleep, recording the room’s temperature, the level of light and noise in the room, and even monitoring the level of airborne particulates in the air. 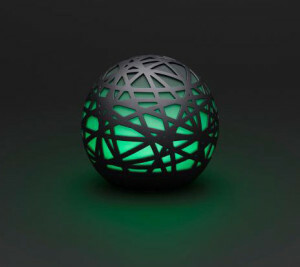 It does this by connecting to a small Sleep Pill that attaches to your pillow and transmits data to the Sense ball that sits near your bed. It also has an integrated alarm that will wake you up at a natural point in your sleep cycle, making you feel more rested during the day. The Sense itself, while very small, is packed with a lot of technology. It includes a light sensor, a microphone, temperature sensor, humidity sensor, a speaker, proximity sensor, particulate sensor and Bluetooth and WiFi Low Energy connectivity. The Sleep Pill is even tinier and contains a six-axis gyroscope and accelerometer and Bluetooth Low Energy connectivity powered by a lithium battery. As you could imagine such a small product that contains so many components required a lot of prototyping and that’s where 3D printing came in. According to one of Hello’s industrial designers they created over a hundred prototypes of the Sense. 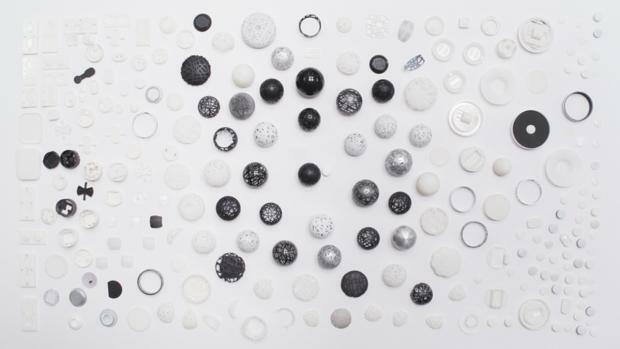 Hello estimates that their 3D printer has spent 1,526 hours 3D printing prototype parts, using 16,000 grams of resin. That’s a lot of prototypes. There is an urban legend about Apple co-founder Steve Jobs that, while unconfirmable, seems relevant here. While playing with the first iPod prototype, Jobs rejected it for being too big. The engineers told Jobs that they had done everything they could to make it as thin as it already was and it was simply impossible to make it smaller. Jobs then got up from his desk, walked over to his aquarium and dropped the iPod into the tank. Once it fell to the bottom, several air bubbles escaped the device and floated to the top, so jobs turned to the engineers and said: “Those are air bubbles. That mean’s there’s space in there to make it smaller”. What they ended up with was an incredibly well-designed device that not only transformed the music industry, but created an entirely new one. Steve Jobs could afford to tank an expensive prototype because Apple, even back then, had more money than they knew what to do with. Using traditional tooling methods, most companies would be hard pressed to create more than a few prototypes, even today. But thanks to 3D printing, we now have products being created that can go through hundreds of prototype iterations, all in the effort to squeeze out that last bubble of air. Add a well-designed product to a well-designed crowdfunding campaign and that equals two and a half million reasons that 3D printing your prototypes just makes sense.